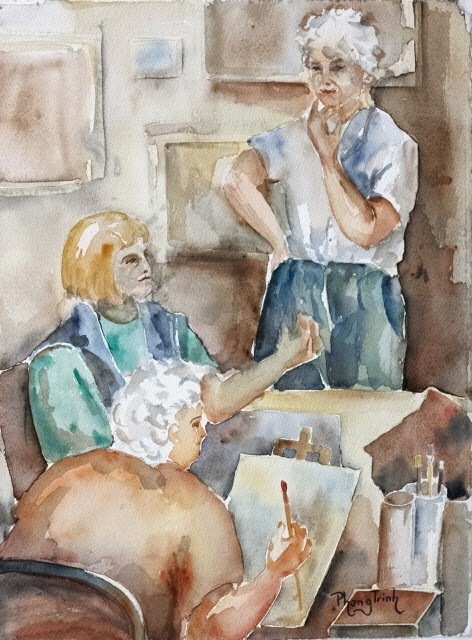 In a corner with a brush, I quickly sketch and painted this scene of an art club. The atmosphere and the tentative process of exchanging thoughts were attracted to me. I know opportunities like this were rare and would not repeat, a natural pose of a group! Now I look at the painting, I still can hear the discussion!